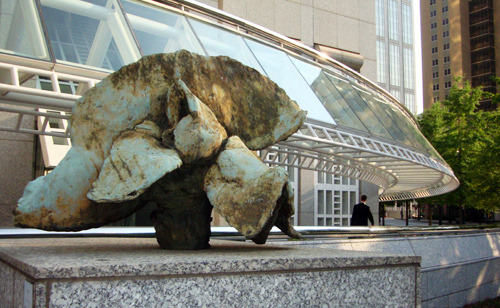 There's a large modern, bronze sculpture in downtown Atlanta that could not bear a more appropriate name, as representative of it's locale, nor could it have been created by a more appropriate artist. Dogwood sits at the base of Suntrust Plaza. The architect, perhaps Atlanta's most popular, John Portman, was also the artist responsible for Dogwood. Dogwood sits at the north end of Suntrust Plaza, which sits at the north end of downtown Atlanta, as to welcome visitors from the North to the capital of the South...could there be a more clever banner of welcome?